Question: I need new tires. How do I know which tires to get? 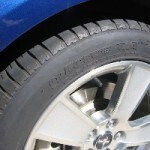 Express Car Care Answer: Let’s look at selecting new tires in light of three factors: Function, Fit and Value. Function: This is what your needs are for new tires, such as weather conditions, road terrain, temperatures, etc. Most new family vehicles in Denver come with all-season tires. They can be used all year long and do pretty well in most road conditions – but they aren’t ideal for all the extremes. Winter tires have a more aggressive tread for handling snow and ice on interstates and they have a rubber compound that helps them have better traction as Denver temperatures drop below 45 degrees Fahrenheit. They have better stopping and road-handling characteristics for Denver drivers than the all-season tires in winter weather. 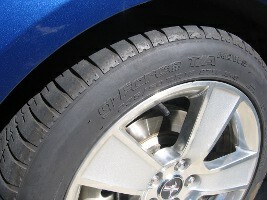 Dedicated summer tires enhance performance in warm weather for Denver drivers. If you drive off-road, there is a spectrum of tires from all-terrain ( a good mix of highway and off-road capability) to dedicated off-road tires. The key is to communicate with your Express Car Care professional what function you need, so you can get the right type of tire, load rating, speed rating and wear rating that works best for you. Fit: The easiest thing is to opt for tires in the same size that were installed by the vehicle manufacturer. If you want a different size wheel or tire profile, be sure to work with your service professional so you can make sure that your new wheels and tires fit properly and don’t rub during bumps or turns. It’s also important to make sure that important safety systems like anti-lock brakes, stability control and traction control aren’t adversely affected by the new tire size. Value: Note…. I didn’t say price. The tire that meets all your needs AND has the warranty and tread life you expect will typically not be the least expensive option…but it may well be the best value for your tire dollar. Express Car Care can help Denver auto owners with this critical automotive decision. Give us a call or come in and see us.